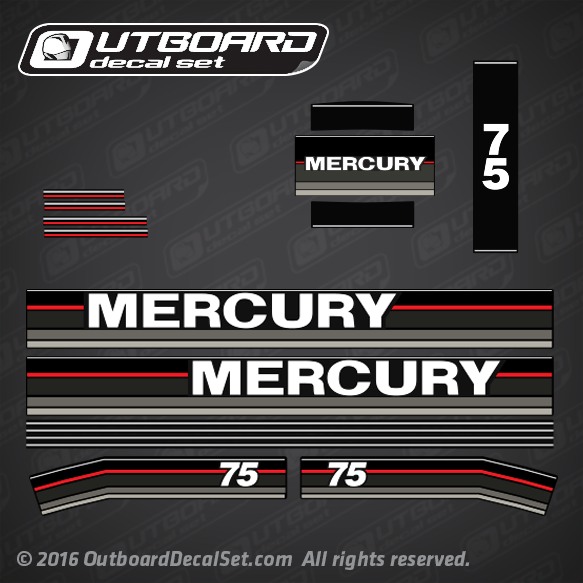 (2) 75 hp jock straps decals. 9006A 2 COWL ASSEMBLY, Port, Black. 9070A 4 COWL ASSEMBLY, Starboard, Black. 43138A 2 COVER ASSEMBLY MERCURY, Black.